Metabolic bone disease includes a wide range of disorders that can cause bone loss or malformation, resulting in loss of strength and an increased risk of fracture. 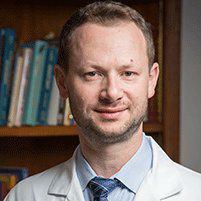 Dr. Tyorkin uses state-of-the-art techniques to diagnose and manage bone diseases so patients can enjoy healthier lives and decrease their risks for fractures. What is a metabolic bone disease? Metabolic bone diseases cause loss of bone strength, typically caused by loss of bone tissue or abnormal remodeling of bone tissue. Most diseases are related to a lack of minerals or poor absorption of minerals such as vitamin D and phosphorous. People of all ages can suffer from bone diseases and disorders, and left untreated, they can lead to an increased risk of fracture. What types of metabolic bone diseases are there? Different diagnostic methods such as bone density tests and blood tests can be used to diagnose most metabolic bone diseases. How are metabolic bone diseases treated? The type of treatment depends on the underlying cause of the disease. For instance, diseases related to the thyroid may be managed with medication that helps regulate the thyroid and the amount of hormones it produces or by replacing the hormones themselves. Deficiencies associated with vitamin D will be aimed at improving consumption and absorption of the vitamin, as well as treating any underlying conditions that may be interfering with vitamin D synthesis or absorption. Dr. Tyorkin is skilled in managing all types of metabolic bone disease, and he can provide you with a program of care developed specifically for your needs.